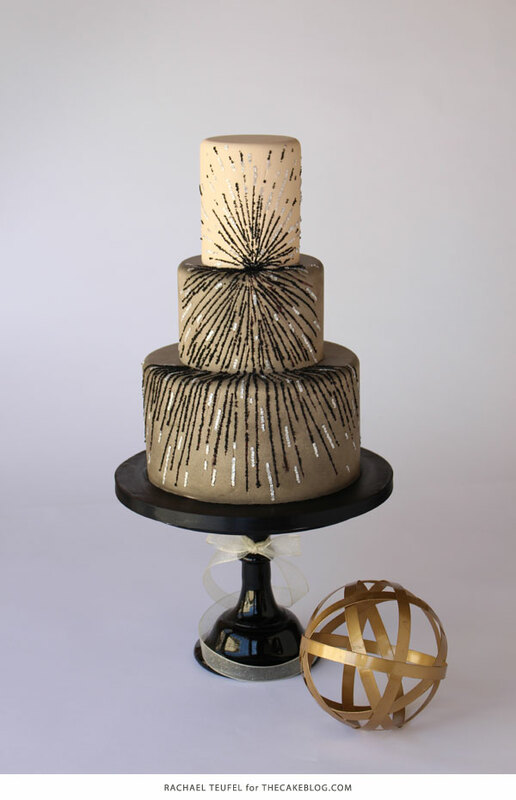 Our contributor, Rachael Teufel of Intricate Icings Cake Design, is back for the next post in our Design Tips series. Join Rachael as she shares a new cake while teaching us the basics of great design. This month’s topic is Balance. 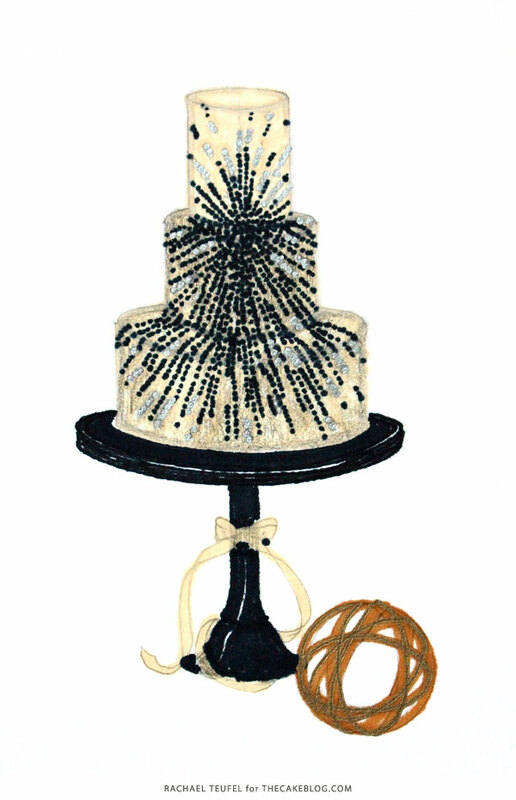 Cakes are pieces of art, and most art follows a few basic principles. Balance, movement, proportion, pattern, emphasis and unity are just a few things that influence artwork. When all of these details come together cohesively, the piece becomes appealing to the eye. Have you ever looked at a cake and felt like something was missing or didn’t seem quite right? It was likely out of balance. 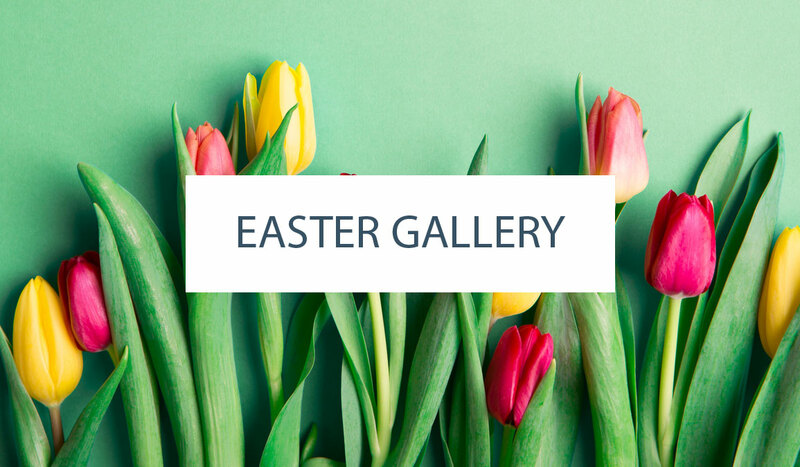 The arrangement of all the elements within the piece of art determines its balance and is typically categorized into three types: symmetrical, asymmetrical, or radial. Let’s take a better look at these three categories with some sketches. A symmetrical piece of art has equal (or mostly equal) halves, either vertically or horizontally. In this first sketch, both starbursts mimic themselves on the left and right, as well as from top to bottom. A design that is heavier on one side with a lighter element on the other side would be considered asymmetrical. In this second sketch, I’ve balanced the two larger starbursts towards the bottom with a smaller starburst towards the top. A radial design simply means the objects form in a circular fashion around a single center point. 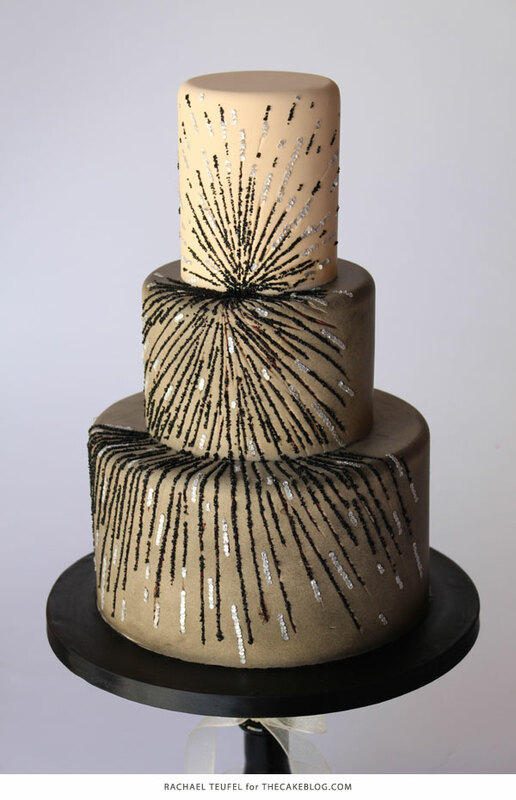 This last design has a higher center point on the cake, but the details still radiate out from a single point. There are many ways to create balance, and this variety is what makes designing a piece of art so much fun. All three of my designs were inspired by the same Yanina Couture gown, yet each sketch could develop into a unique cake design. The use of color and shading, texture or lack of there of, or a variation in size can create completely different effects on the balance of each piece. Sometimes it just takes a little playing until the piece achieves the visual aesthetic you are after. As you an see in my sketches, even small adjustments can make a big impact. 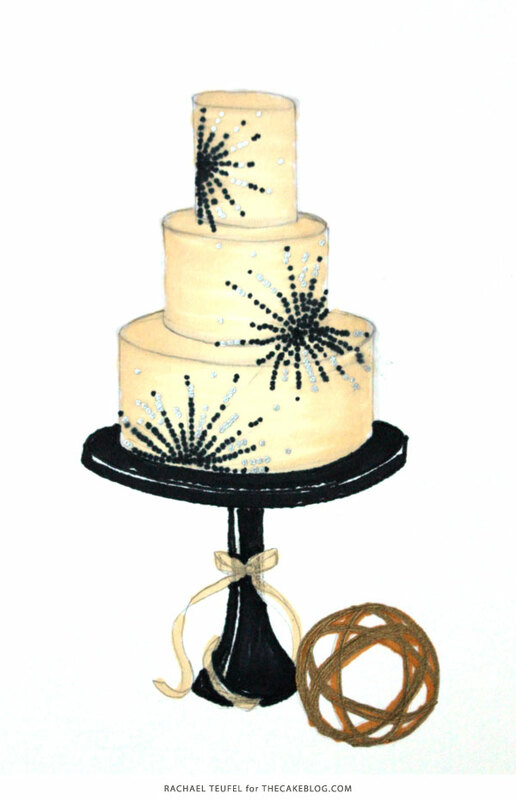 When it came to creating my cake, I went with the radial design in sketch number three. Are you ready to see how it all came together? Above is another look at the inspiration gown and below is my final cake design. It was bit challenging to create the look of black tulle over ivory fabric, but after a little experimenting, I was pleased with the end result. 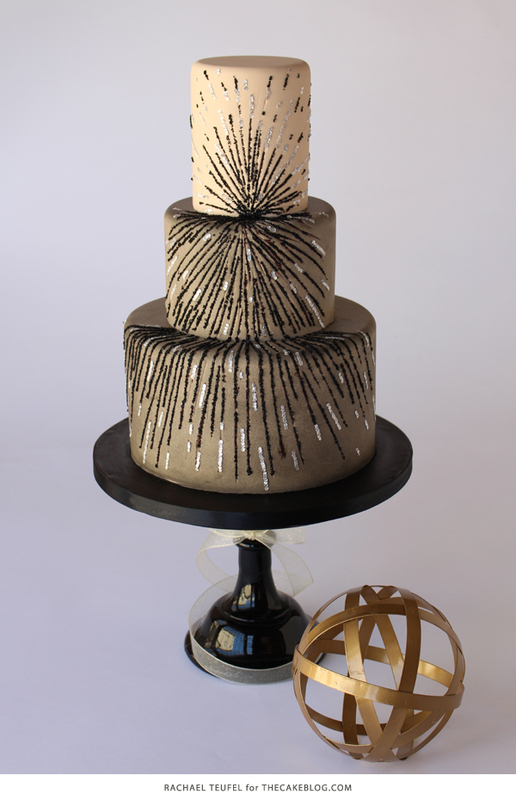 A light coat of black airbrush sprayed onto ivory fondant did the trick. 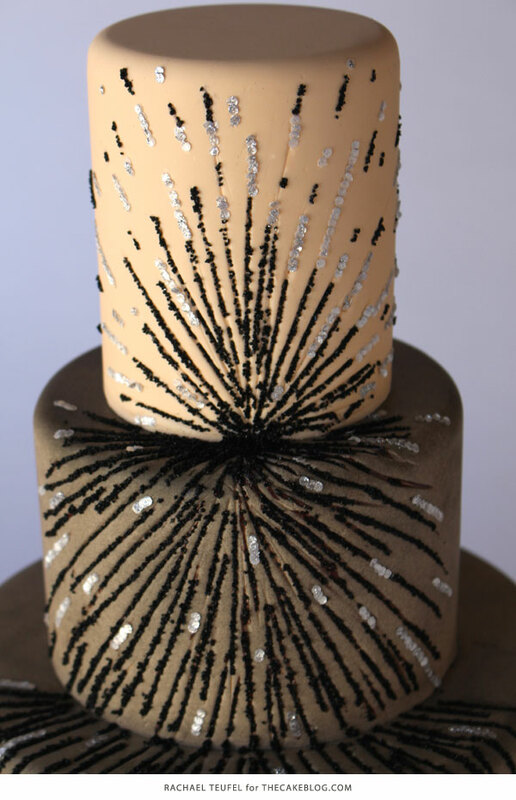 While the gown is adorned with black and silver sequins, I wanted to bring in a different texture. 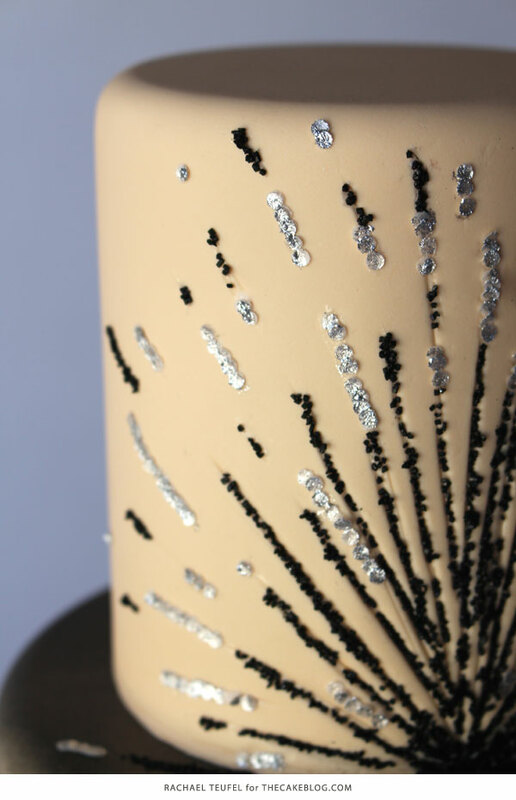 I chose to use black sanding sugar for a bit more sparkle and tediously placed tiny wafer paper sequins hand painted with silver shimmer dust. 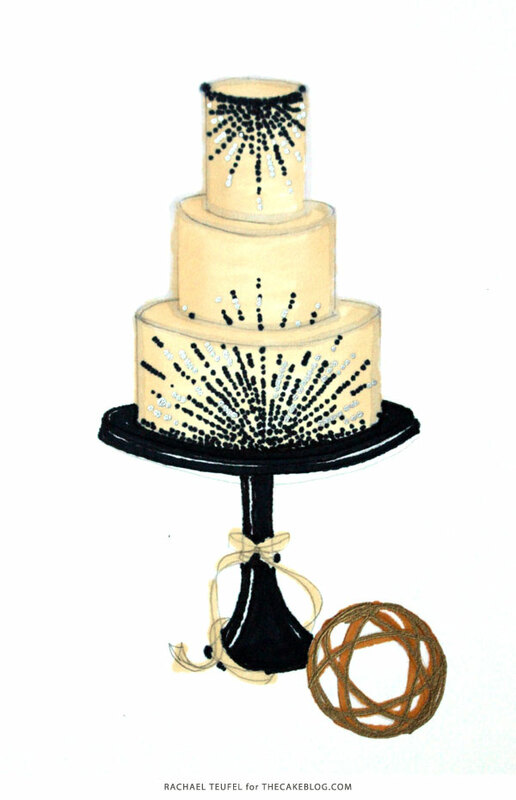 The next time you sit down to sketch a new cake, keep these principles of balance in mind. Play around with the different ways of creating balance and give yourself a nudge to try something new – you’ll be pleasantly surprised when you start to see your design skills growing. 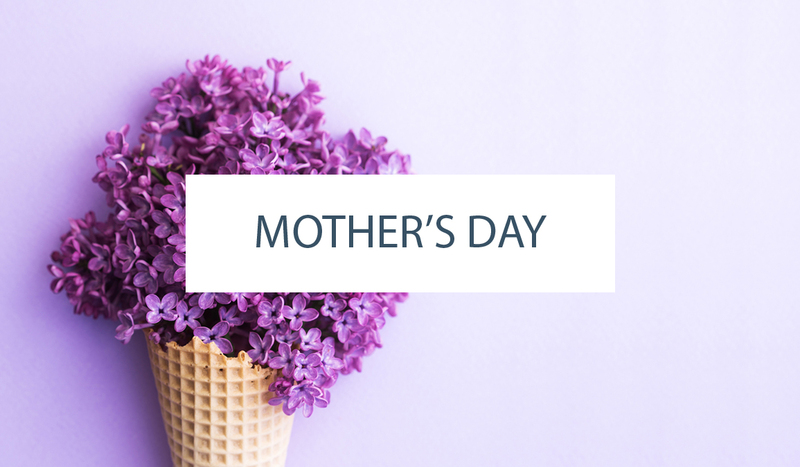 If you need help along the way, come back to this post for a refresher! Thank you so much for this very insightful post……so many great ideas that I can’t wait to put into practice.